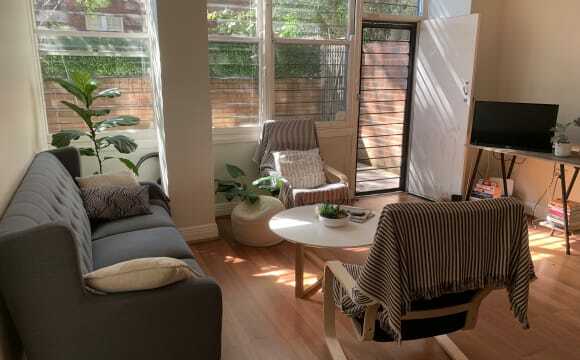 Private spacious bedroom- well designed spacious HOUSE with outdoor terrace garden AMAZING LOCATION - whether you want to be in Bondi Junction, Paddington, Bondi Beach - or Sydney CBD - EVERYTHING is SO close. Woollahra is a beautiful neighbourhood. 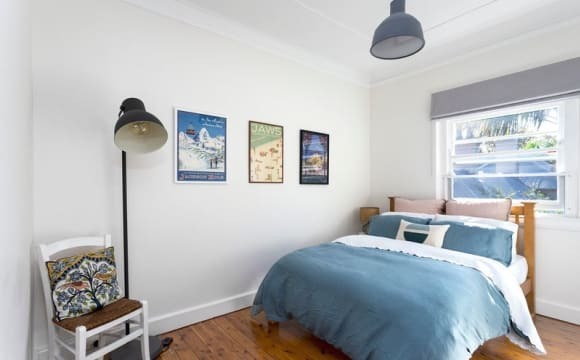 Big wide streets with large plane trees - quiet clean safe area - a 10 minute walk to Bondi Junction station. The BEDROOM the Bedroom is a large double bedroom with quality queen sized bed (one person only) lots of hanging space, desk, chest of drawers. Private Balcony HOUSEMATES working professionals 22 - 30, mature, responsible, house proud. OUR PREFERRED HOUSEMATE We are looking for someone who gets along with others and can have a glass of wine or coffee and a chat as well as being able to respect quiet time. Who cleans up after themselves in the kitchen (no mothers or maids here!). There is a housekeeper/cleaner every two weeks who does the whole house. Vacuums, cleans bathrooms and kitchen LOCATION Centennial Park is over the road - if you like clean air and green trees, or riding your bike. 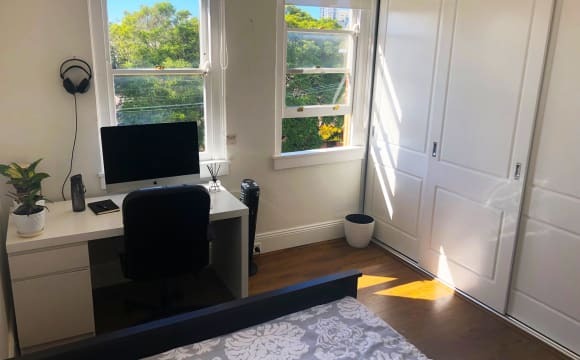 TRANSPORT Close to Bondi Junction Station 3 different bus routes to CBD Centennial Park - 200 metres Unrestricted street parking nearby Furnished - wardrobe, chest drawers and desk Private balcony RENT IS $359 including bills* BOND - $1200 All bills included. 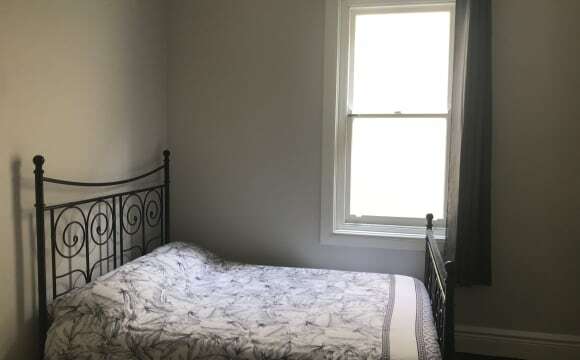 *electricity ask... ROOM AVAILABLE from 14th MAY 2019 ONE HOUSEMATE. Three story house with lots of natural light and private areas. One bedroom is available upstairs. It shares a private bathroom with the occupant of the other room. 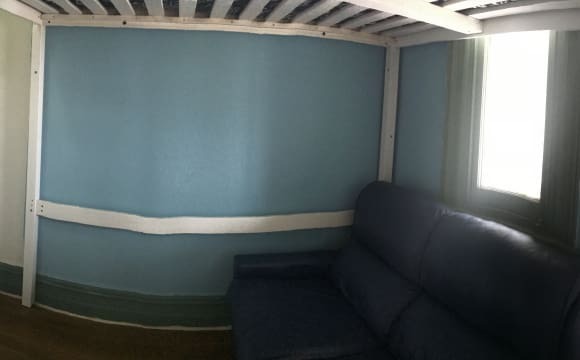 The room is available for a single female at $330 per week inclusive of electricity, gas and internet. Transport options: 8 minute walk from Bondi Junction station, 3 minute walk to bus routes 333, 380, 389, 440 etc. Nearby parks: Centennial Park and Cooper Park both very close. Amenities: pool, dishwasher, washing machine, fully equipped kitchen, beautiful garden. Most of the bills are included in the rent. Only exceptional costs will be added (inquire for more information). Gorgeous and large 3 bedroom house. Courtyard to sit and have coffee or yoga outdoors!. Cafes, bars and transport on doorstep. Netflix, foxtel, Spotify! Room available 20th-29th April $300 total inc bills. Location is great! 4 min walk to Bondi Junction station, Westfield, Coles, woolies. Welcome to Wello! 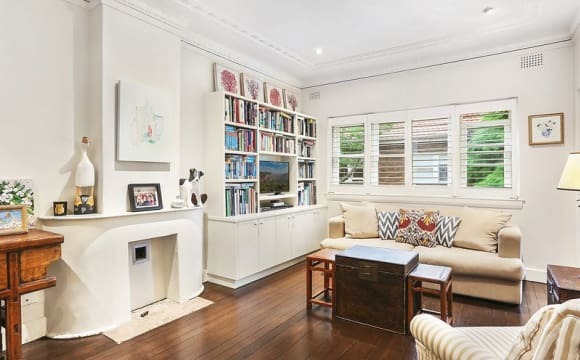 2 Wellington St is a cute, two bedroom apartment, located in a beautiful, leafy street in Woollahra. It has a little balcony, which is sun soaked almost all day - the perfect spot for a cheeky read and your morning coffee. Wello is in a very convenient spot, it’s a stone’s throw away from busy Queen St and it’s a quick walk to Edgecliff station. You would be living with a bubbly 30 year old female, who is very neat and clean and loves the occasional wine over a game of backgammon. Lovely spacious and bright apartment in a great location, just a short stroll to shops and cafes, Centennial park, Edgecliff station and not far from the beaches either! Two bedroom apartment in an art deco security complex in leafy Woollahra. The apartment is in very good condition, is fully furnished with wooden floorboards and light and spacious. It has a large kitchen with gas cooking, new fridge and a dining area. 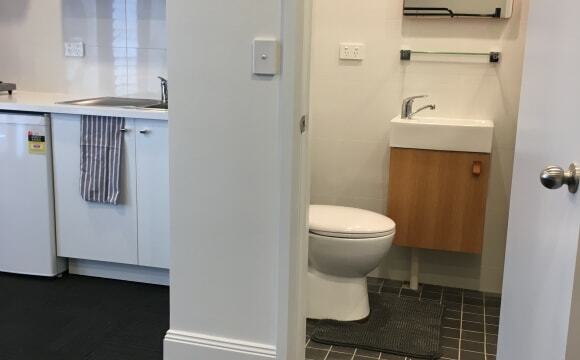 Large lounge room and shared bathroom with bath and washing machine . There is always plenty of unrestricted street parking available which is great for the location and there is a secure bike storage shed under the building. The building is at the bottom of a driveway away from traffic so it's quiet and is tranquil, nestled amongst trees and birds. If you like waking up to the sounds of nature and stunning sunrises that flood the apartment with light, you will start your days with a smile. The location is fantastic, surrounded by Centennial Park, Bondi Junction, Queen Street Village, Paddington and Double Bay. The eastern suburbs beaches are 10 minutes drive and it is 15 minutes to the City. Trains from Bondi Junction are a 10 minute walk and loads of buses to take you all over Sydney are just 5 minutes walk. If you enjoy walking and taking in the beautiful surroundings that Sydney has to offer, you can get to the City in 40 minutes and the beaches in 25 minutes. There are healthy holistic hubs, yoga studios, gyms, big Westfield shopping centre and many cafes, restaurants, bars and pubs close by. 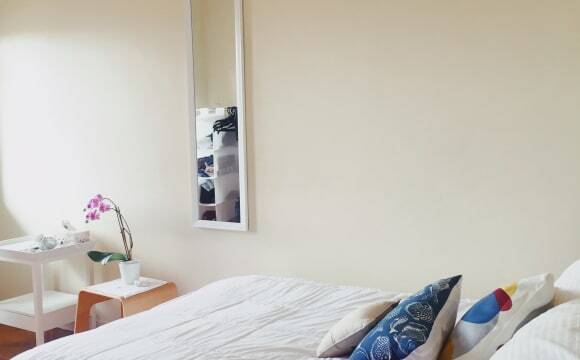 The room is a queen size room, can be furnished or unfurnished and has it's own sunny balcony. It’s hard to take a good photo of the room due to the angles so best to come and take a look! Rent is $340 per week, plus bills. Electricity, gas and unlimited internet is approximately $25 per week. Bond is 4 weeks rent. SHORT TERM MAY 23RD - JUNE 30TH A bright and very large room with a double bed available for a 6 week sublet from May 23rd - June 30th. This is a clean and cosy unit situated on a quiet street in Woollahra, very central to everything. Bondi Junction station is an 8 minute walk, Oxford St (bus stop for 333) is a 2 min walk and Centennial Park is across the road! Cafes and shops of Queen St are a 5 min walk away as well. The unit is on the top floor of a small building block. Built in washer/dryer, wifi and everything you need! This would be an excellent option for someone visiting Sydney for a month or in-between houses. Please pm me for more details. Sorry no couples. This place is light filled and chilled with beautiful sun filled spaces as lots of natural breeze. The proximity to Centennial Park, the beaches, the city and everything Sydney offers, plus the local cafes couldn't be better - I love the place and hope whoever I love with also does. Reverse cycle air-con, WI-FI, small art deco block and on the top floor. *Twin/Single (sharing bathroom and toilet) at $322 per week Available on April 29. *Twin Premium with balcony (sharing bathroom and toilet) at $420 per week. Available on April 26 Sharing kitchen and big common areas at the back. 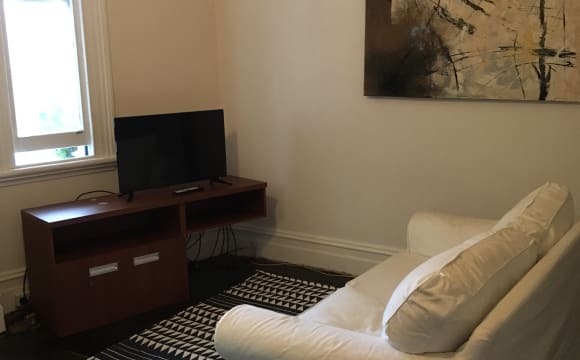 Share Room at Bondi Junction -3 people $200 per person -2 people $250 per person With own kitchen and bathroom inside. I have a single bed available in a large open planned share house. -Based on Bathurst Street, Bondi junction. 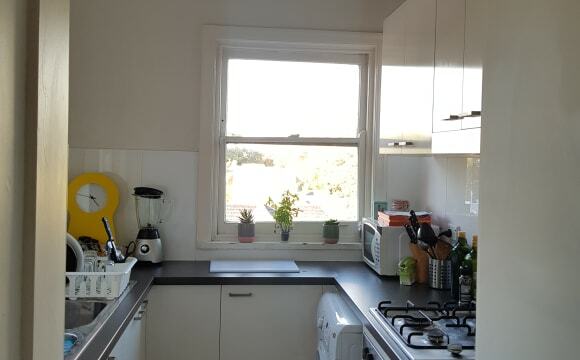 -2minute walk to Bondi Junction Train/Bus Station. -Westfield shopping centre is a 2 minute walk away -Surrounded by plenty of bars and restaurants You will have a single bed in a shared two man bedroom with a lot of storage and space. The house is mixed with 5 English/Irish people and will be available immediately. Facilities: - Single bed - Washing Machine - 2 Bathrooms (1 with a large bath) - L - shaped sofa - TV with Fetchbox &amp; Netflix &amp; HDMI cable - Fast WiFi with Dodo - Oven/Gas Hob/Microwave /Kettle/Dishwasher - Clothes Hanging Space/ draws - Large Portable Fan Bond is below 50% full price!!! $10 roughly weekly for gas and electricity. DM me for more information! I have a single bed available in a large open planned share house. -Based on Bathurst Street, Bondi junction. 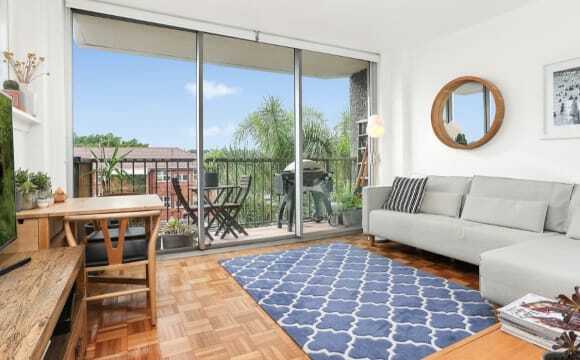 -2 minute walk to Bondi Junction Train/Bus Station. -Westfield shopping centre is a 2 minute walk away -Surrounded by plenty of bars and restaurants You will have a single bed in a shared two man bedroom with a lot of storage and space. The house is mixed with 5 English/Irish people and will be available immediately. 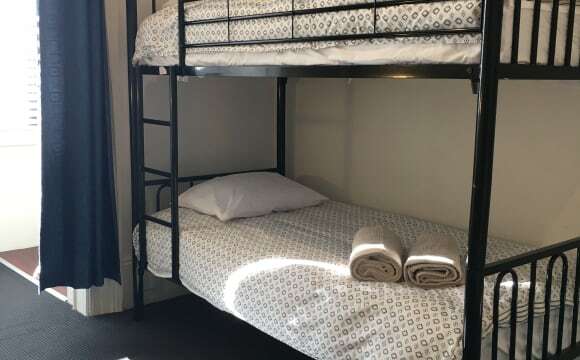 Facilities: - Single bed - Washing Machine - 2 Bathrooms (1 with a large bath) - L - shaped sofa - TV with Fetchbox &amp; Netflix &amp; HDMI cable - Fast WiFi with Dodo - Oven/Gas Hob/Microwave /Kettle/Dishwasher - Clothes Hanging Space/ draws - Large Portable Fan $217 weekly for rent paid every Monday. $3 weekly for wifi/tv paid monthly. $10 roughly weekly for gas and electricity paid quarterly. Bond is very very cheap, currently below 50%!! DM me for more information! 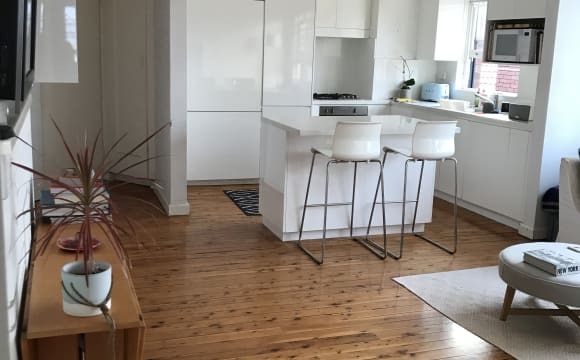 The house has large open plan living spaces indoors and out and is located 1 block from Queen Street and 7 mins from Bondi Junction Train Station so you would be very close to trains and good bus services, and only 2 minutes to Centennial Park. An added bonus is the built in laundry room with washer dryer and wash tub etc. The house features a spacious kitchen and dining room and a separate lounge room. Both spaces have generous outdoor living areas. There is also off street parking available if required and an internal access double garage. The kitchen has also just been fitted with a new oven and cook-top. We also have Netflix which is included in the rental price. The room has carpeted floor large built in wardrobes; it also has a door and window that open out onto a sunny balcony. The room comes unfurnished. Amazing ground floor apartment in leafy Woollahra, a short walk from Bondi junction station or a 15min bus ride to the city. Close to some of Sydney’s most iconic beaches, it is the perfect central location. The apartment block is on a quiet one way street just off Queen st so not a lot of traffic and always plenty of unmetered on street parking available. There is also covered off street parking in the private car park. The apartment has a private garden/patio perfect for entertainment and lets a lot of natural light in. 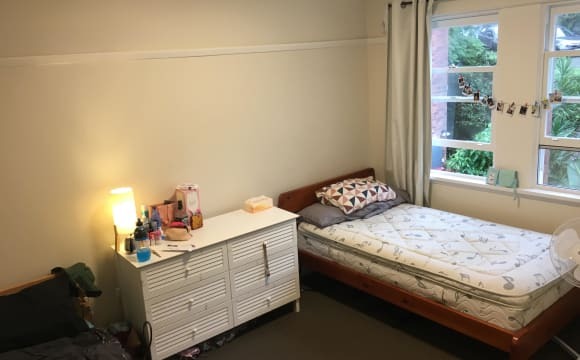 Fully furnished (the bedroom can be furnished or empty-my old housemate is selling her bedroom furniture so new tenant is welcome to buy it). We have a washing machine in the apartment as well as washers and dryers in the building laundry. Electricity, gas and internet split evenly and not included in rent, but our bills are always very reasonable. Tenant will be required to sign onto the new lease which will be from the 11th of May for 12 months minimum. Send me a message if this sounds like the place for you and we can arrange a viewing! The house is opposite Centennial Park. We are 15 minutes by bus to Bondi Beach and to the city centre. The whole floor has just been renovated. The room has a sunroom and is bright and fresh. 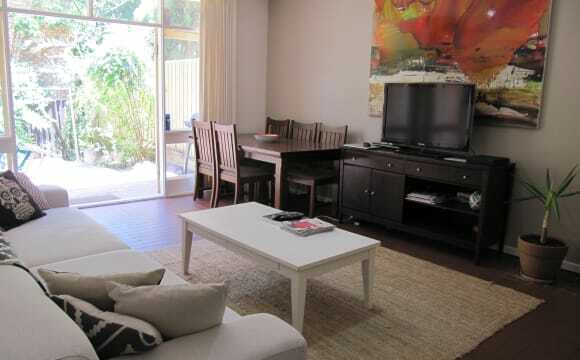 The apartment is a stone’s throw away from Bondi Junction: Westfield, transport and restaurants. The walk to Bondi Junction train station and bus interchange will take you no longer than 3 minutes. Bondi Beach and Double Bay Village is 20 min walk/7 minute drive and Queen St shops/cafes is only 10 min walk. Sonoma Cafe, dangerously next door! The location and convenience of everything at your fingertips, is difficult to beat. The block is quiet and neighbours are friendly. The apartment is located at the back of the block, overlooking the garden. It is peaceful and tucked away from the bustle of Edgecliff Rd. The room itself fits a queen bed easily, gets good sun and is fully secure. Option for it to be rented furnished or unfurnished. Other features: * Internal Washing Machine * Common garden/outdoor area * Fully secure apartment / intercom * Gas cooking * Interney * Netflix * Secure Apartment * Off-street parking * Non smoking RENT - $350 a week (not including bills) BOND - 3 weeks rent Available April 21.